Car loan and Chrysler, Dodge, Jeep and RAM leases aren’t topics most people get excited about. 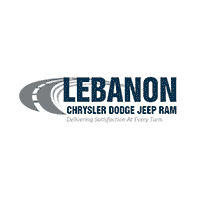 That is until they’ve come to the Lebanon Chrysler Dodge Jeep Ram Car Loan and Lease Center. Here, they’re met with a friendly, expert staff focused on getting them the flexible terms and rates needed to accommodate their individual life circumstances. Trust us – it’s a personable, results-driven experience you won’t forget. To learn exactly how we can help you make your dream of owning a new or used Chrysler, Dodge, Jeep and RAM, get in touch with us today. Please contact us with any questions by using the button below or calling 513-409-2612513-836-8678.